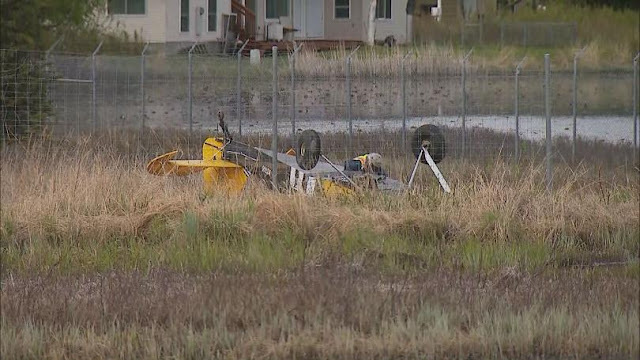 On May 23, 2018, about 1630 Alaska daylight time, a James Wiebe Belite Pipper, experimental amateur built airplane, N3748, sustained substantial damage during a forced landing, following a total loss of engine power at Lake Hood Seaplane Base (PLHD), Anchorage, Alaska. The airplane was registered to a private individual and operated by the pilot as a 14 Code of Federal Regulations (CFR) Part 91 visual flight rules flight when the accident occurred. The private pilot sustained minor injuries. Visual meteorological conditions prevailed, and no flight plan had been filed. The flight departed PLHD for a local flight in the traffic pattern. According to the pilot, the accident flight was the first flight since maintenance was performed on the airplane's fuel system. The pilot stated that he departed Runway 32 and entered a right downwind to remain in the traffic pattern. While on final approach to Runway 32, he elected to execute a go-around. After opening the throttle, when about 150 ft above ground level (AGL), all engine power was lost. 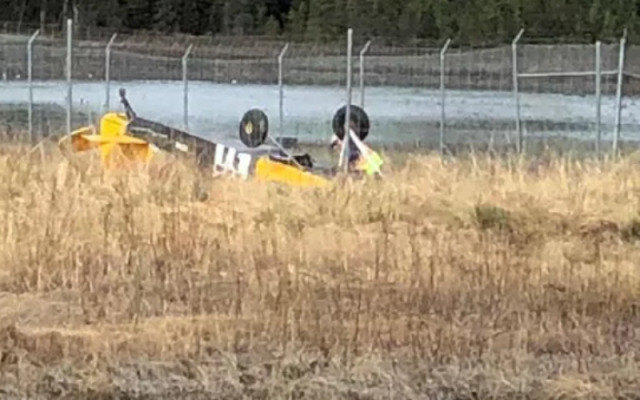 During the forced landing, the pilot attempted to land back on the runway, but touched down between the runway end lights and bounced, prior to becoming airborne again. With no remaining runway surface available, the airplane descended into a fence and came to rest inverted in marshy terrain about 375 ft from the departure end of Runway 32. A detailed engine and airframe examination is pending. The aircraft was equipped with a Rotax 912 UL2 engine. ANCHORAGE (KTUU) - A plane has crashed near Lake Hood airport, according to the Anchorage Fire Department. AFD says the pilot was able to walk away from the crash and was not injured. According to Cleo Hill, spokesperson for the Anchorage Fire Department, the crash was reported at 4:30 p.m. The plane crashed on land, not into the water, Hill said. NTSB investigator Shaun Williams tells Channel 2 that operations at runway 32, plane crashed, remain suspended as the investigation continues. 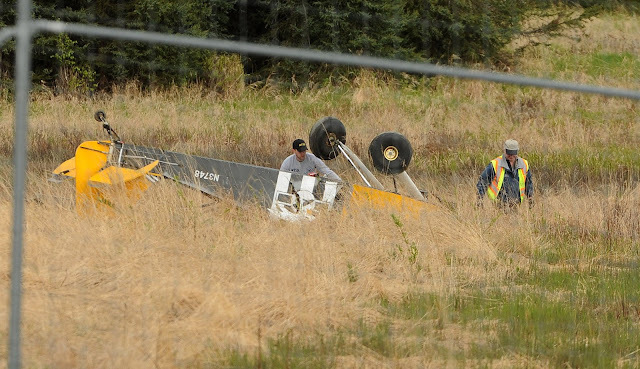 Witnesses nearby say they saw a plane upended over the fence, upside down. Lake Hood is a seaplane base operated by the Ted Stevens Anchorage International Airport. It’s even greater essential to repair the fence in case you are residing in high crime quotes regions or places with exposure to crime. As to such liabilities with the broken state of the fence draws capacity criminals to achieve you off your valuables. now not solving this fence could expose you in addition hazard of dropping greater of your assets if now not seemed into sooner this hyperlink.